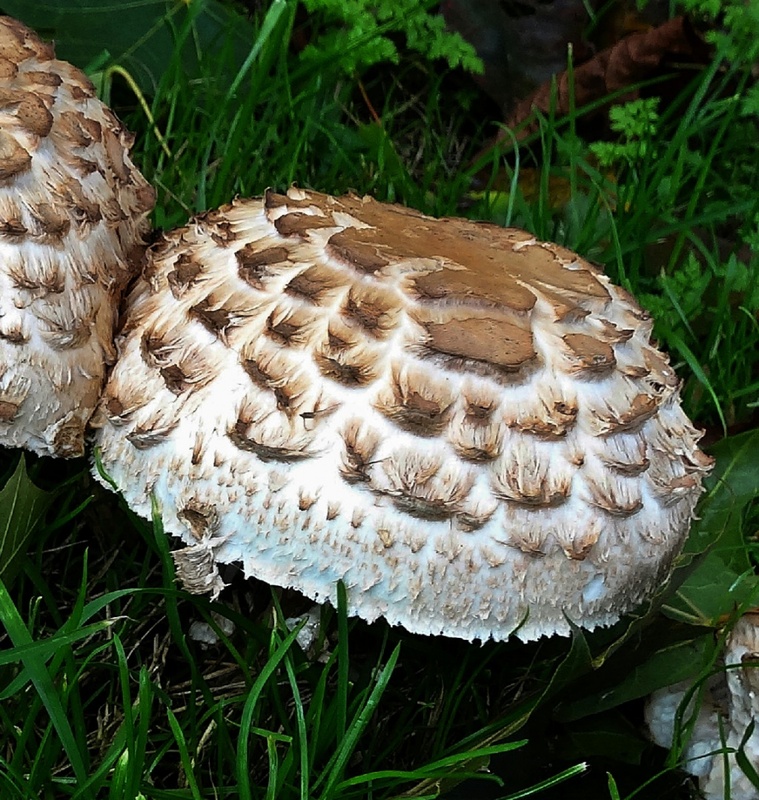 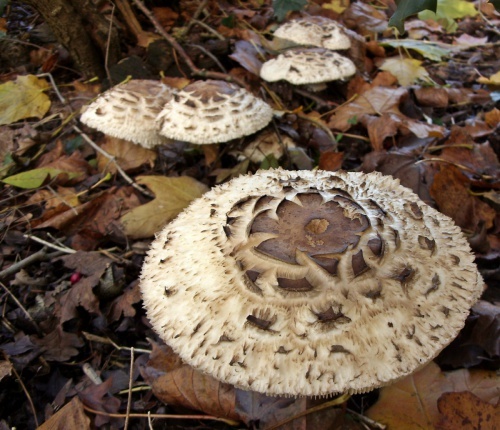 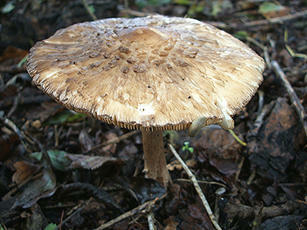 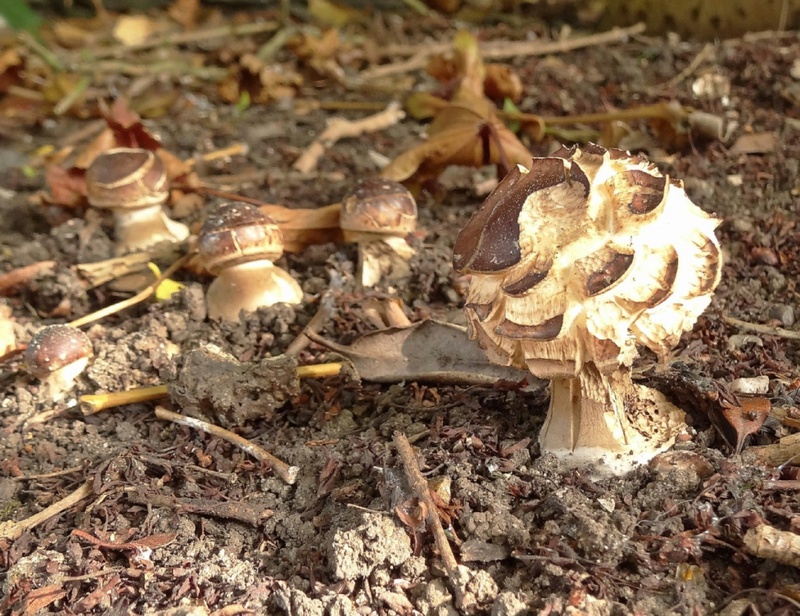 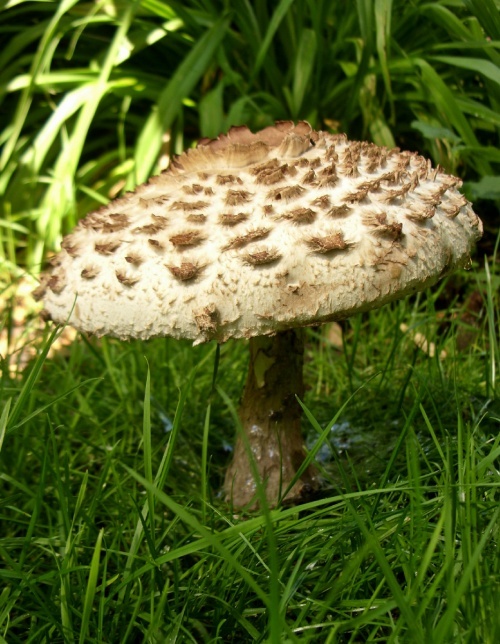 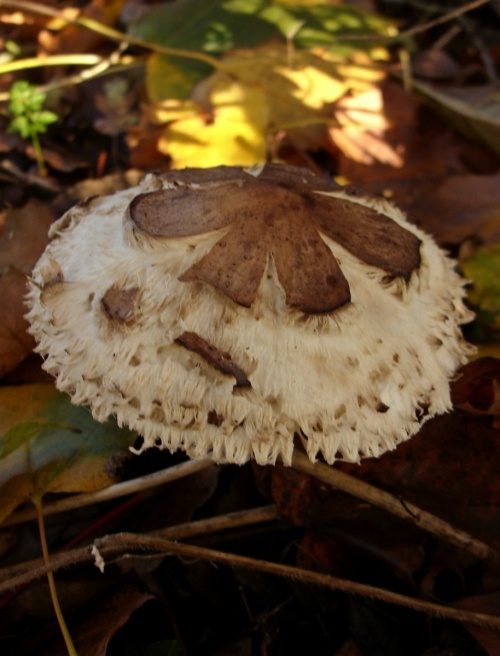 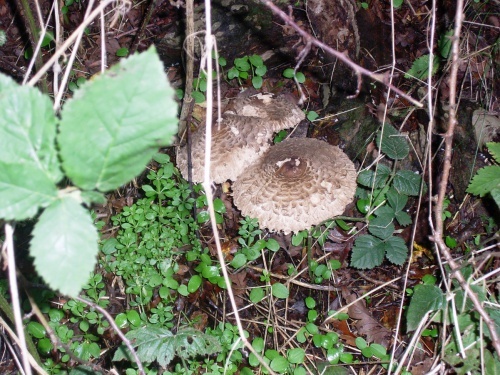 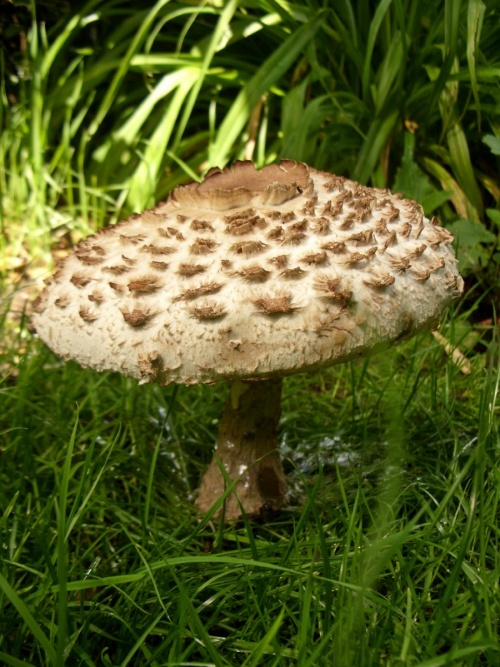 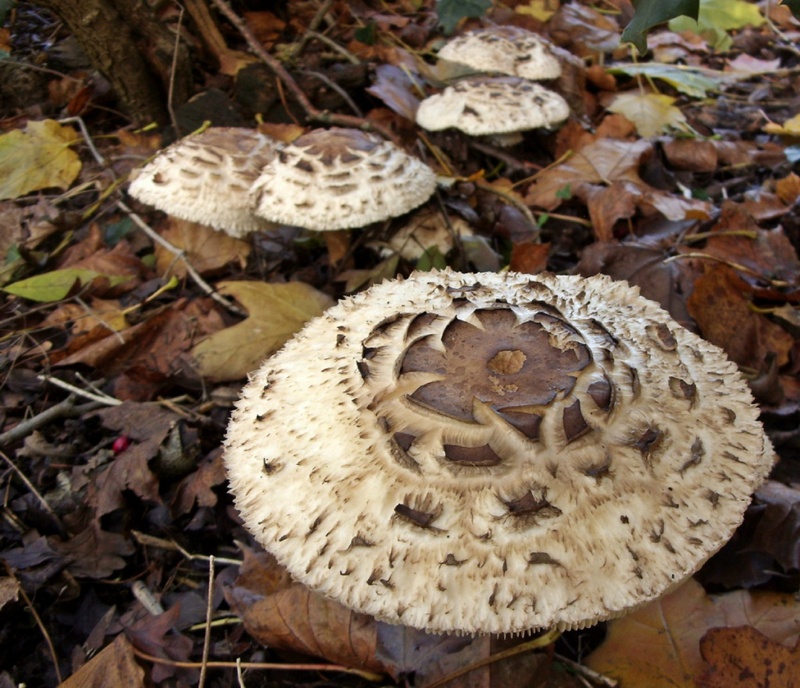 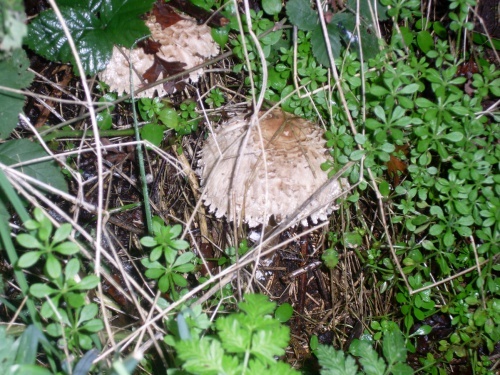 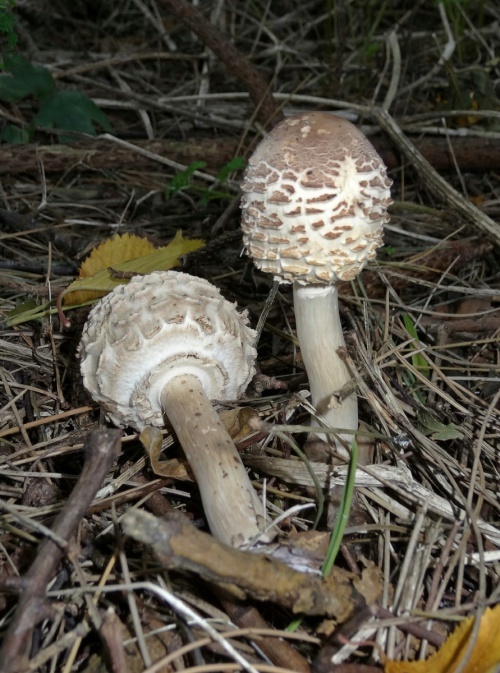 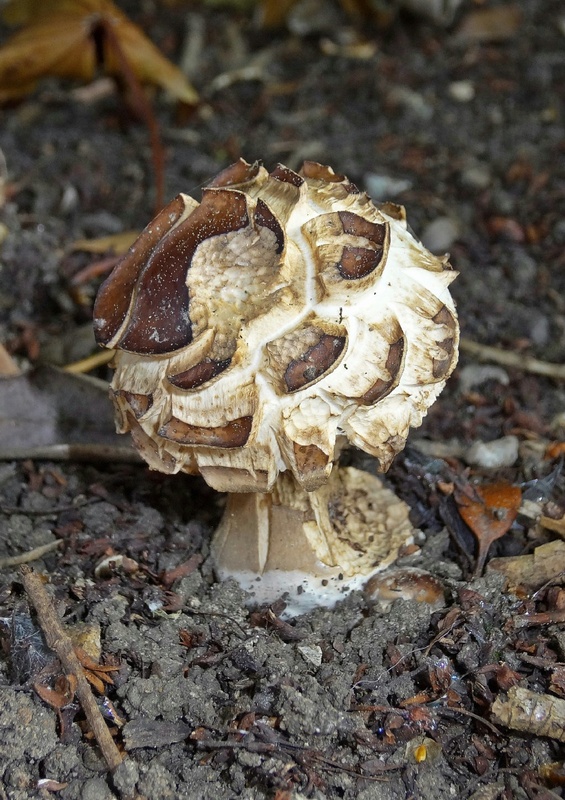 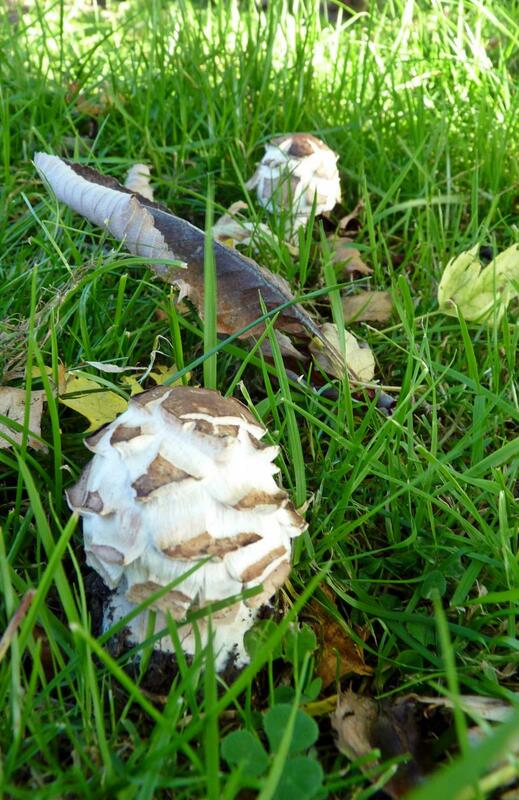 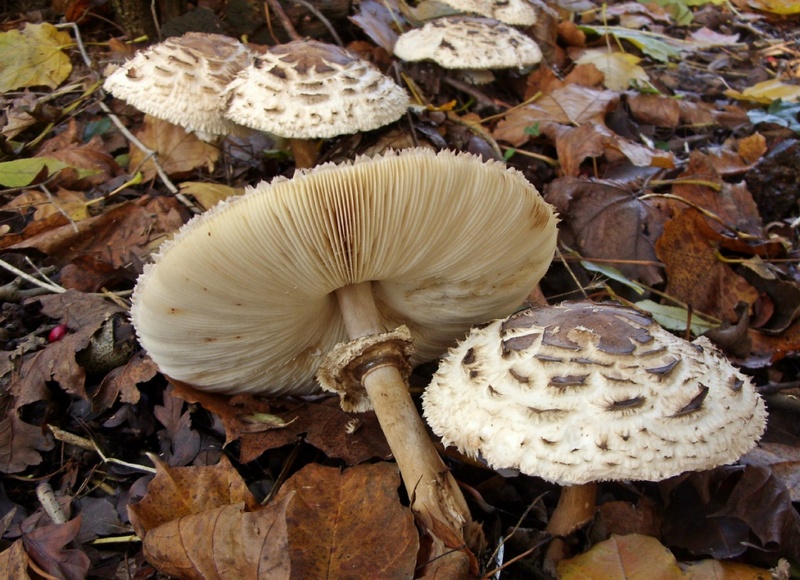 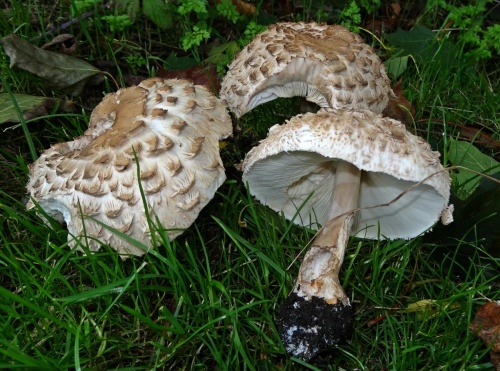 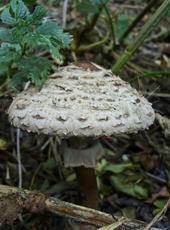 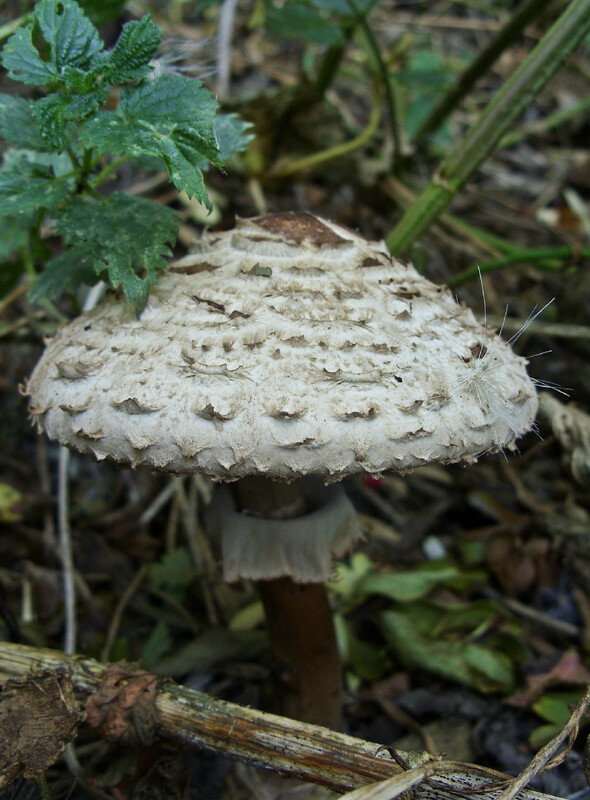 Cap to 15 cm diameter with slightly reflexed scales on a fibrous background, which give it a shaggy, torn appearance. 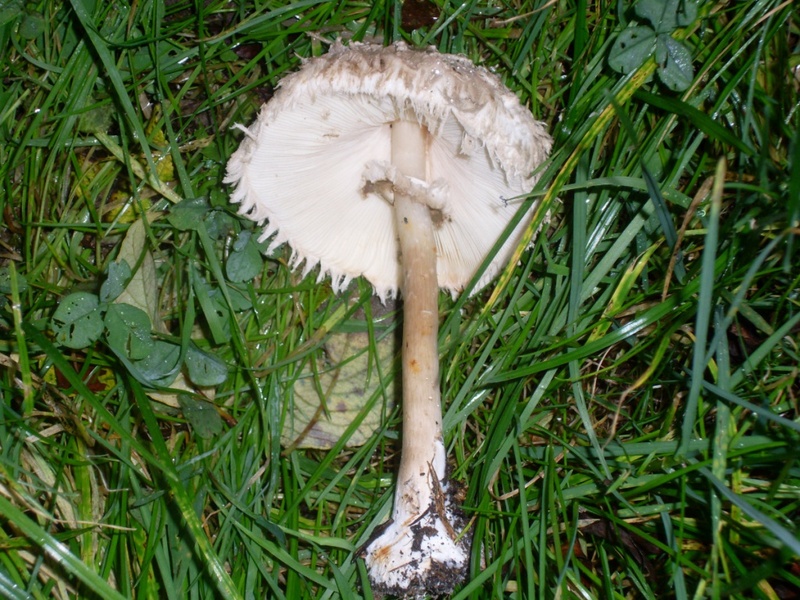 Stem slightly swollen towards the base, pinkish white, unpatterned. There is a large soft ring which can often be moved up and down the stem. 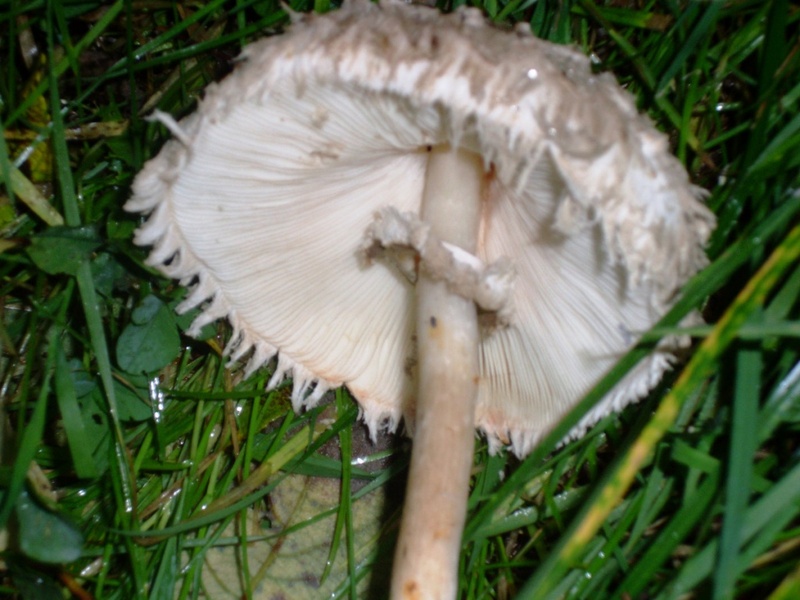 Flesh turning red when cut, gills bruise reddish. 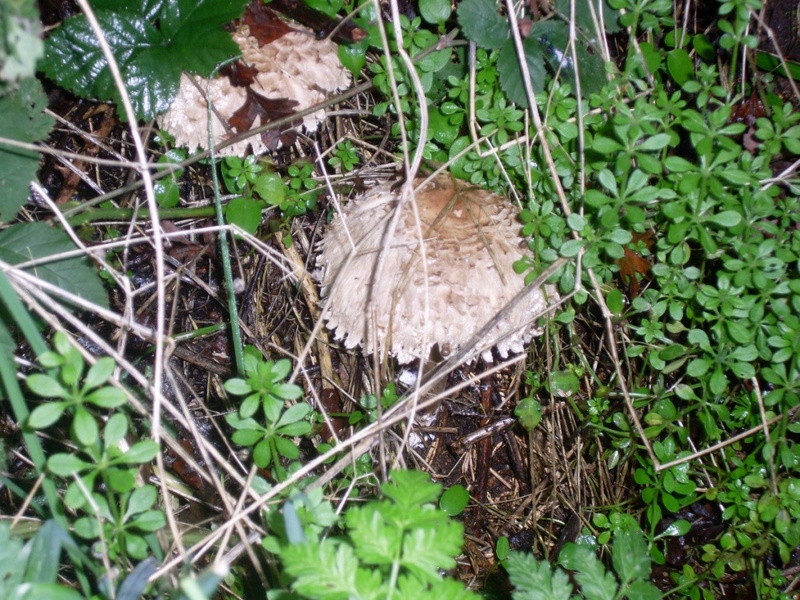 Parasol Mushroom - Macrolepiota procera. 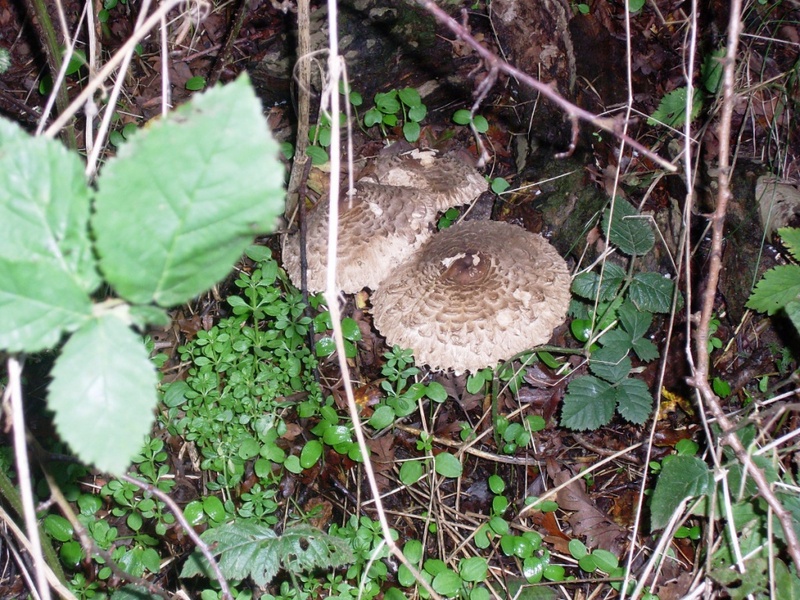 Shady places such as woods and hedgerows.